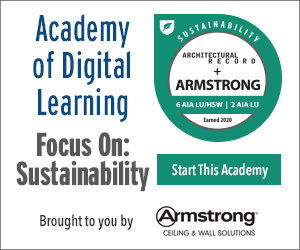 Explain the strategies deployed to bring mid-20th-century buildings at Oberlin College, Arizona State University, and Boston University into compliance with current codes and performance expectations. Describe the structural modifications and other changes made to these buildings to meet their owners' programmatic needs. 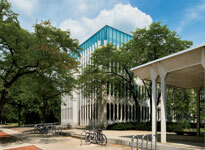 Discuss the acoustical challenges posed by the project at Oberlin College and describe the design team's solutions. 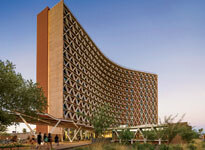 Discuss how the buildings were adapted without sacrificing their character-defining midcentury features. This group of articles examines the renovation and restoration of mid-20th-century buildings on three U.S. college campuses. It explains how the project teams preserved the buildings’ key character-defining elements while bringing the aging structures into compliance with current codes, meeting occupants’ expectations for human comfort, and satisfying their programmatic requirements. For credit, read all of the stories below and take the test. 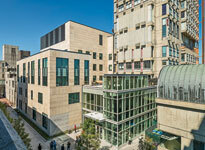 Sert Re-Asserted: A renovation and expansion of a midcentury academic tower restores a master's legacy.